Figuring out the residual values of trucks used to be straightforward. That might not be the case anymore. As electrification spreads into all forms of vehicles, the most conservative segments are starting to get stuck with a conundrum. For those assessing the resale value of electric commercial trucks, it's pretty much a guessing game at this point and a hurdle that will have to be overcome as governments pose stricter emissions regulations on all vehicles entering congested cities. 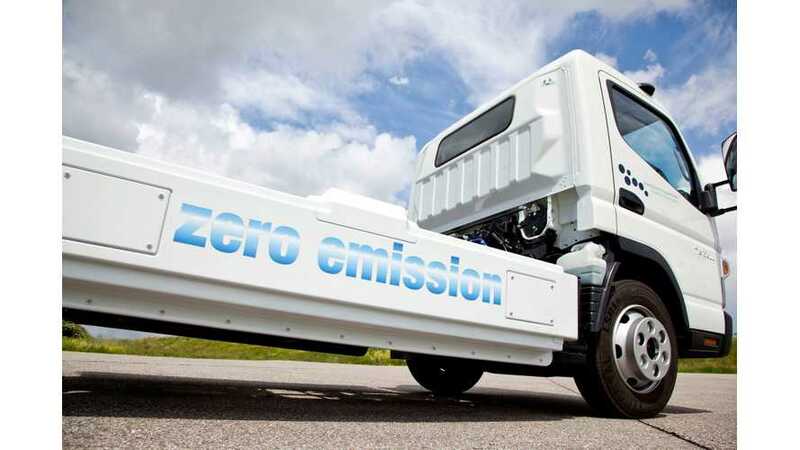 According to Trucks.com, leases for electric trucks has been difficult to figure out because of the unknown residual values of these relatively new models, something that wasn't as much of a problem when new diesel-engined models replaced older diesel models. And that's putting commercial consumers in a tricky place when they look to battery electric vehicles to lower running costs over several years. Some modified leases are being tested with these new trucks. Daimler leased 50 Mitsubishi Fuso eCanter trucks to various groups for two years without an option to extend the lease. A company official essentially told Trucks.com that it's anyone's guess what the actual value of the trucks will be at the end of the term. There are other factors to consider, such as the health of the batteries after several years, as well as the incentives that might be available in the near future – all of which is in flux in various cities, states and at the federal level. In its infancy, the electric commercial truck market has to sort of make things up as it goes along. But that doesn't mean it will always be in this n0-man's-land of costs. After all, more trucks are going to have to get electrified sooner rather than later. For more, check out Trucks.com's story.